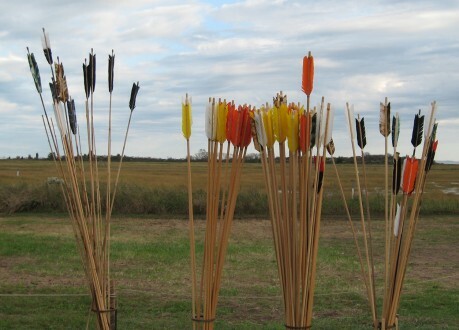 Atlatls, Darts Great Gift Idea! Order Early! The Thunderbird Atlatl shop is ready for the annual Christmas and Holiday gift cycle. Our atlatl elves are busy working on inventory. Looking at the December calendar, we think December 18 is probably the last day we can guarantee priority mail service to your location for Christmas. We can also look into Express mail shipping and other options to get a better guarantee after that date. We ship most of our items priority mail through the US post office but by the third week of December, all the shipping services are getting bogged down and we notice their normal shipping guarantees are not as accurate as they usually are. We will do our best to get your orders out as quickly as possible. If you have a special order, please call before December 10 and we will see what we can do to meet that. We also offer gift certificates. Give us a call at 1-800-836-4520 if you have any questions. Thank you for looking at our site. Thunderbird Atlatl will be at the Paderbow program in Paderborn, Germany Nov. 17 to 18. This will be our third time at this fun show. Please feel free to email us at contact@thunderbirdatlatl.com if you need us to bring something special to the show. 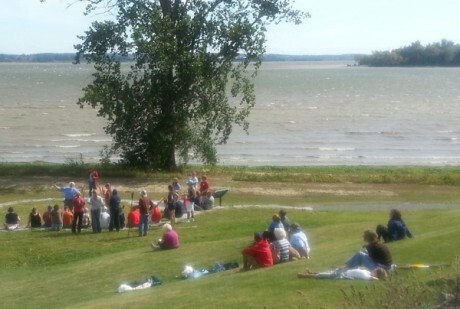 Thunderbird Atlatl will be at the Hammonasset Festival in Connecticut this weekend on Saturday, September 29 and Sunday, September 30. There will be atlatl contests all day and a lot to see as the Festival features two days of celebration, education and entertainment honoring Native America and nature. This is the 8th Festival. Thunderbird Atlatl will be in Vermont this weekend Sept. 21 & 22. 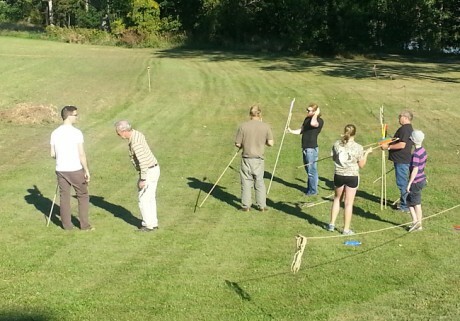 We will be offering a workshop, Friday, Sept. 21, at the Chimney Point Historic Site in Addison, Vt.
Saturday, Sept. 22,there will be atlatl competitions all day at the historic site located on the shores of Lake Champlain.This is the 23rd year for the contest. Photos below show competitions from previous years. The atlatl or spear-thrower is an ancient weapon used by man for tens of thousands of years. 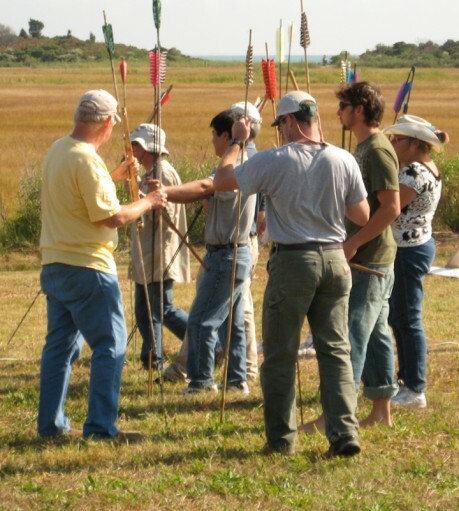 Today, the atlatl is used for sports ranging from target shooting, to hunting and fishing. Thunderbird Atlatl is the world's largest atlatl manufacturer. The Thunderbird Atlatl email list is a great way to keep up-to-date on the happenings in the Atlatl world. Box 764, 90 Main St.
30 Reasons Why Atlatls and Darts are the Coolest Things Ever!